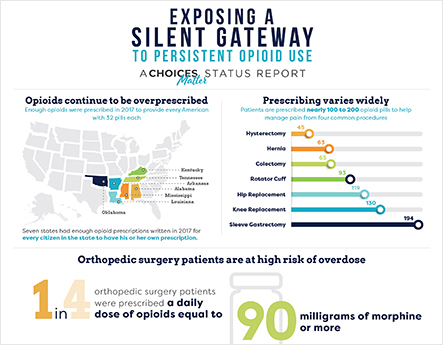 The Choices Matter status report explores how opioid overprescribing continues to impact at-risk populations. 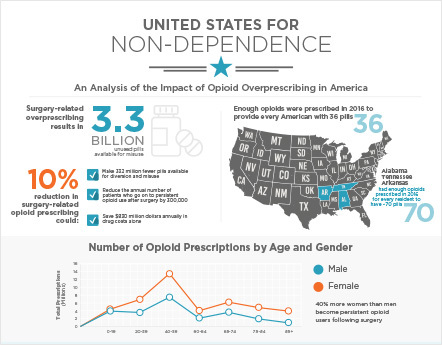 The United States for Non-Dependence infographic details quick stats and information related to the report. 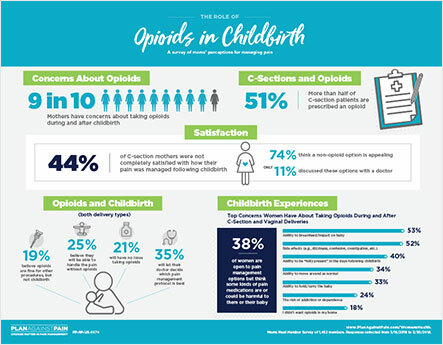 The Women’s Health Infographic reveals the reported fears and concerns moms and moms-to-be have about the use of opioids during and after childbirth.